Behavioural analysis and personality questionnaires. You may have done them at school or university, or perhaps just for fun. But in a professional context, these profiling tools can help to manage interpersonal relationships and give understanding and acknowledgement of certain behaviours others may find alien. Understanding the behavioural and personality traits of your colleagues can lead to better, more respectful relationships and a positive working environment. In this post we’re going to look at two of the most well known profiling standards and explain what they look for and why they’re used. 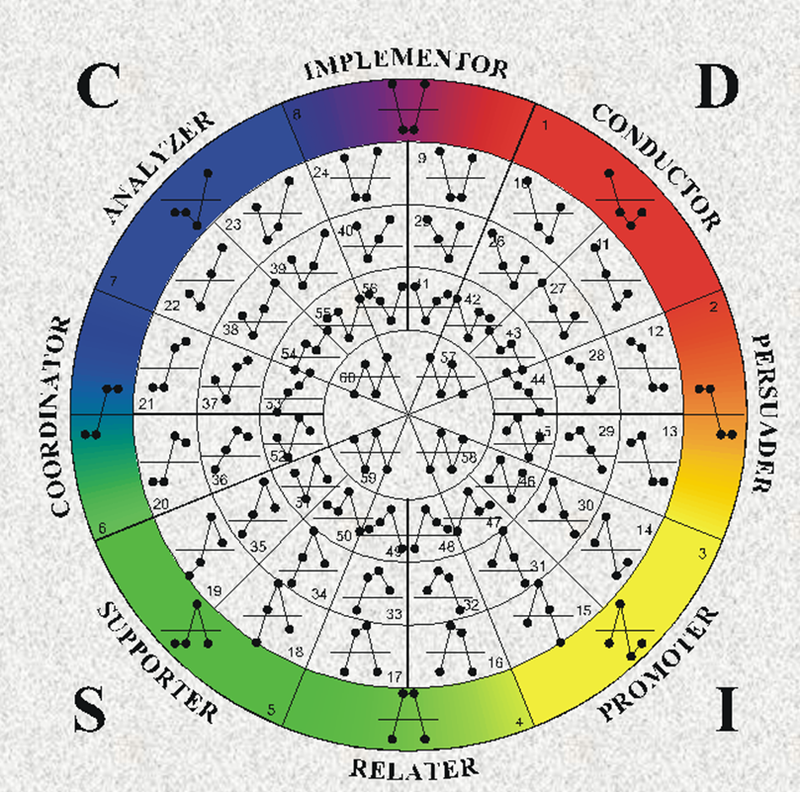 DISC is a behavioural profiling tool that uses a series of questions to measure a person’s preference against four traits or ‘factors’; Dominance, Influence, Steadiness, and Conscientiousness. Unlike Myers Briggs, it’s not a personality test, but a behavioural analysis tool. The idea is to give the participant a “better understanding of themselves and to adapt their behaviours with others”. In a team environment, this means acknowledging your colleagues’ differing behavioural, communication and working style preferences and conducting yourself in a way that avoids conflict and fosters cooperation. As well as colleagues, understanding DISC can help you ascertain behavioural traits in your prospects, allowing you to sell better and negotiate more efficiently and successfully. As an accredited DISC training institution, we find that DISC is a truly “intuitive tool to help enhance business performance and relationships”. The insights that are gained contain a wealth of information that help you to appreciate the behaviour of your co-workers, which in turn will increase your ability to build rapport and form stronger relationships at work. From an L&D and managerial perspective, understanding someone’s DISC profile can lead you to discover, nurture, and foster their unique skillset. Myers Briggs is a personality classification tool, most commonly known for the Myers Briggs Type Indicator (MBTI) test. Katharine Cook Briggs and her daughter Isabel Briggs Myers first introduced the MBTI handbook in 1944 and this test is continually researched and updated to maintain “validity and reliability”. Like DISC, it aims to categorise participants into “types” in order to identify and explain certain traits. The main difference is that MBTI is a personality differentiator that will outline personality types, while DISC is a behavioural analysis tool that outlines the differences in how people interact, behave, and communicate. Many people in Australia complete a Myers Briggs test during high school and often in the same year that work experience is to be completed. The idea is for career guidance counsellors to offer suitable professions for students to consider. Using Myers Briggs in a professional capacity can be greatly beneficial as it highlights different personality types, and potentially more importantly, how those personality types can clash. As with DISC it can be used to better understand your own profile and that of those you work with everyday, but it falls short of being used to help improve transactional-type relationships. Consequently it is not very useful for people in sales roles and the like as it’s personality driven, not behavioural – hence it’s far more difficult to use Myers Briggs “on-the-fly” to work out the best way to communicate to a prospect, or to pitch more successfully to someone you’ve yet to meet. The DISC profiling tool is just one of the instruments that secondnature use to educate, inspire, and motivate teams. Knowledge is power, and acknowledging differing behaviour types gives you a solid foundation in communication, allowing you to build better relationships, highlight strengths in a team to reach a desired goal more accurately and efficiently, and avoid unnecessary conflicts. To learn how a DISC course can add value to your business, get in touch with us today.